Admission is open to one and all. A child who has completed 3+ years as on Ist June of the admission year is eligible for admission to LKG. Application forms are issued every year for the next academic session in the month of November. Filled in applications along with copy of Birth Certificate should be registered 20th November every year for 120 LKG seats. Admission is granted on first come first serve basis. There is NO DONATION or CAPITATION. 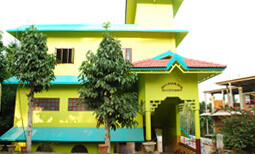 Cost of application is RS.100/- and registration fee is Rs.150/-. Admission are granted subject to vacancies for class I to IX. Applications are issued for Lateral Entries in the month of January. Cost of application is RS.100/- and Registration fee is Rs.150/-. Admission for class XI is granted to the students of CBSE /ICSE and State English Medium Schools based on the marks secured in the Board Examination. Availability of seats is 60 for science stream and 40 for Commerce stream for every academic year. 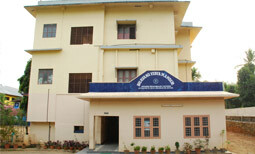 For Admission Details the school office can be contacted from the 1st week of April every year.